We have to admit that, the Microsoft Excel is the most productive software ever developed. MS Excel is just amazing and if you know how to use it in the right way, you’ll life will become much more comfortable. Formulas are the main component of MS Excel which helps with saving a lot of time as well as provides the absolute correct result. In this particular article, I’m going to introduce you to the Formula for Percentage of Total in Excel and how to use it. 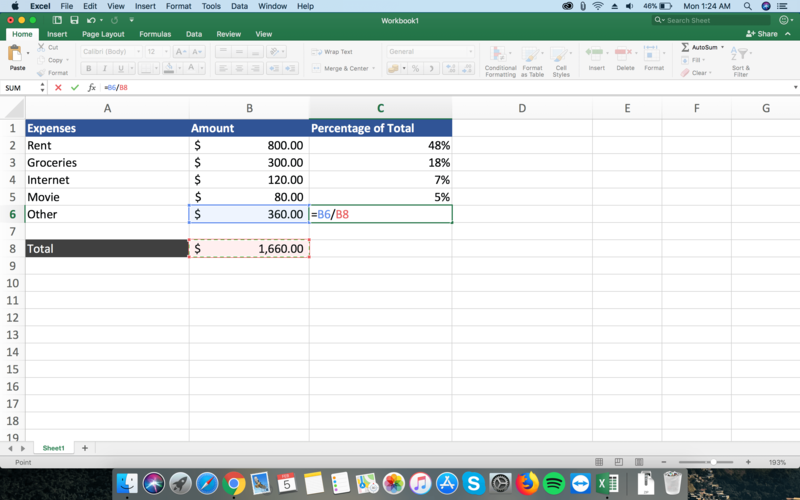 Calculating Sum, Average, Total, Percentage is very easy using MS Excel and here I’mm teach you how to use Formula for Percentage of Total in Excel. Yes, I have just mentioned the formula above. But How to use it? Below I have added live screenshots of calculating the percentage of the total. In the screenshot above B columns are the amount and B8 is the Total. So calculating the percentage of total of other expenses, we are applying the formula =B6/B8 (here B6 is the amount). In above screenshot, you can see how I got the result. We can’t really say it as the percentage, but by clicking the percentage icon under the Home option will make it the perfect result. And there you got the result. 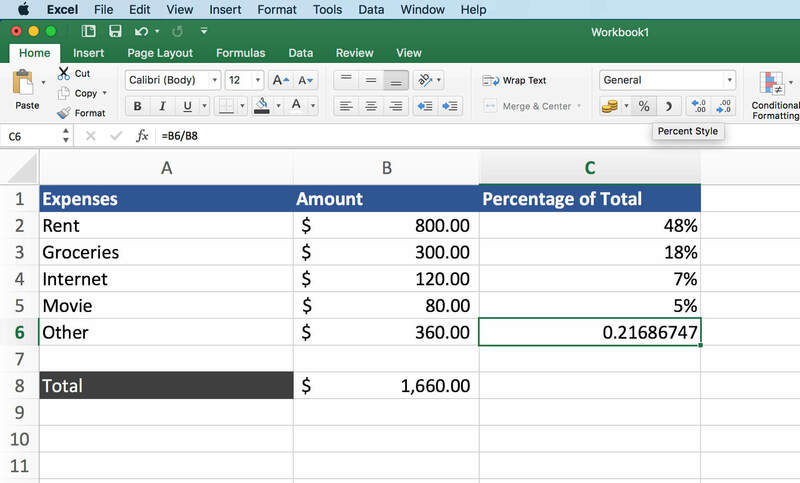 That’s the Formula for Percentage of Total in Excel, and I have shown you how to use it. 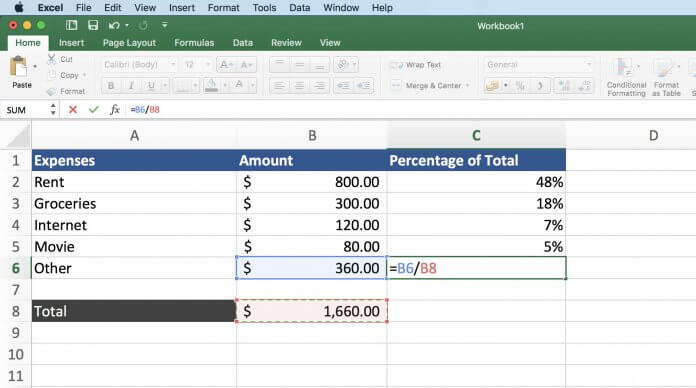 Percentage of Total in Excel is not the only formula MS Excel has, it has everything you need to make your work easier. That’s how Formula for Percentage of Total in Excel works. We’ll soon be updating all the MS Excel formulas, tips and tricks and everything under our Learn Microsoft Excel category. So be sure to subscribe to our newsletter and get a notification as soon as we post another mind blowing trick.